Is the Moon a Child of Mother Earth? Scientists know quite a bit about the Moon by now. They know its diameter, its circumference, its distance from Earth, and they know exactly how long it takes for it to revolve around the Earth. Regarding how it originated, however, scientists are still trying to solve the puzzle. The Moon is relatively close to the Earth – about 385,000 kilometres away. It is the only celestial body that man has walked on to date, and this has helped immensely in finding out more about it. It was particularly helpful that astronauts brought rock samples back to Earth. For the geologist Thomas Kruijer, who works at the InstitutfürPlanetologie der WestfälischenWilhelms-UniversitätMünster, they are vital objects of investigation: “Rocks can provide us with information about the time it originated, and about the processes through which it emerged”. 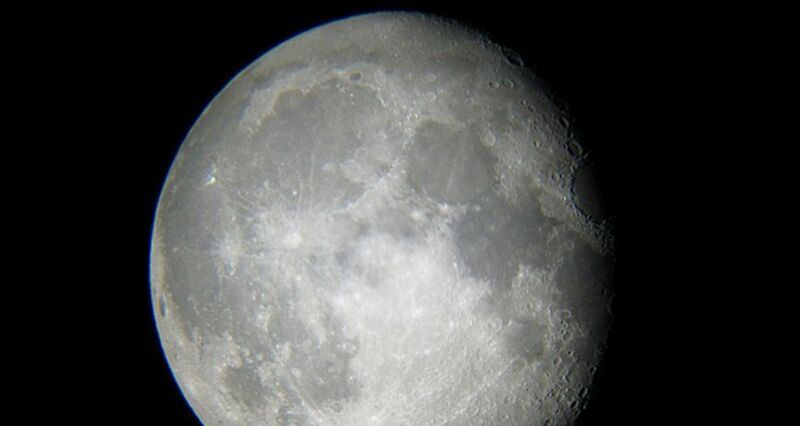 The precise time of the Moon’s origin, however, still remains a mystery today. George Howard Darwin, the son of the famous Charles Darwin, was occupied with the question of the origin of the Moon as early as the late 19th century. He developed the so-called fission hypothesis, which stipulates that the young Earth was spinning so rapidly around its own axis that it became unstable in the area of the equator, and ‘spun off’ a section – the Moon. Also, the possibility that the so-called Blue Planet was able to randomly ‘catch’ the Moon was taken into consideration for a period of time. [SAB1] Currently, however, most scientists consider the Giant Impact Hypothesis to be the most probable: about 4.5 billion years ago, the young earth collided with a celestial body that was roughly the size of Mars – Theia. This produced rubble that was hurled into space, together forming the Moon. In this scenario, the Moon is composed mostly of Theia material, which is different from that of Earth. Moon and Earth should thus not be so similar in their composition. However, in fact they are. But perhaps Theia and Earth were similar in their chemical makeup without having a mutual origin. Studie by research scientists at the Israel Institute for Technology indicate this. [SAB2] Israeli researchers have calculated a probability of 20% to 40%, increasing the probability that the Moon and Earth are similar. Thomas Kruijer has deduced from his collected data that the Earth and the Moon must have thoroughly ‘mixed’ during and after the impact with Theia. It is however not clear how this happened. A speculative possibility is that Earth and Moon were still connected for an extended period of time after the big crash. For scientists at the University of Münster, one of the next significant issues regarding the origin of the Moon concerns what happened after the collision between earth and Theia, and how the connection between Earth and the Moon actually looked. The geologist would like to start – provided that there is enough money – missions involving the collection of rock samples from other planets in the inner solar system, e.g. Venus or Mercury. The differences in composition within the solar system could thus be better evaluated. If these new rock samples were similar to the Earth, this would support the explanation of the Israeli scientists that Earth and Theiaare, in fact, not essentially different from one another. This would shed more light on the evolutionary history of the Moon.